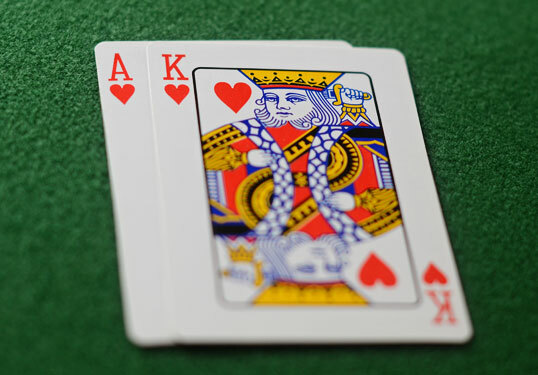 How to play Ace-King (AK, Big Slick) well in various situations may be the most polarizing concept in Texas Hold’em. AK. Big Slick. Ace-King. Walkin’ back to Houston. A monster of a hand in Hold’em made even more powerful by them both being spades, clubs, hearts, or diamonds. Suited. 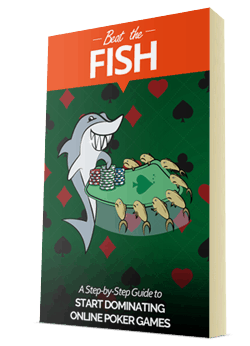 While many may argue it as the 4th best hand you can be dealt in Hold’em (behind pocket Aces, Kings, and Queens) it is a tricky one to pilot your poker guidance around and extract maximum profit from. 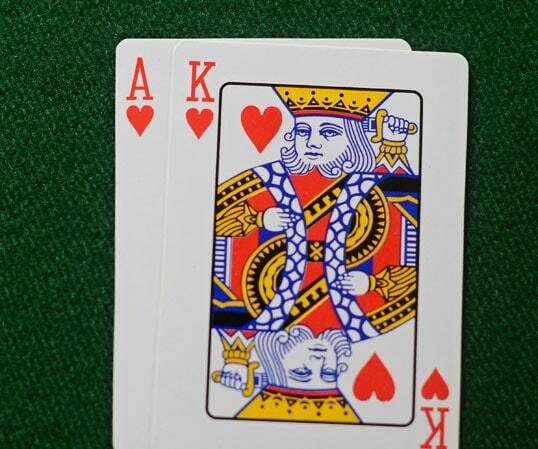 Statistically, Ace-King will win, on average, less than any pocket pair greater than sixes would against random opponents. Of course, among unpaired cards Big Slick is the statistical and metaphorical champion. AK is still a drawing hand – not a made one. Even pocket deuces will win more often in the extreme long-run when played heads-up against Big Slick to showdown. 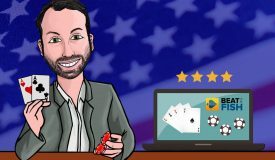 I’d like to outline some of my recommended ways to play AK preflop in different situations. One of the beauties of Big Slick is the pre-flop pressure that you can put on your opponents. Unless one of your opponents has the rare holding of pocket AA or KK you are no worse than a coin-flip in the hand (remember that two overcards are about a coin-flip pre-flop favorite against a smaller pocket pair). However, one of the key aspects to remember is that the odds say you will only flop a pair about 1 out of 3 times. Since you’re certainly going to miss more often than you hit, it is important to take the lead early in the hand and seize control. You win the hand right away. You build up a pot that you try to take down later. I’ll usually raise 4-5 times the blind in looser games to try and thin the field. You’ll almost always raise pre-flop with A-K, unless it’s been raised and/or re-raised before the action gets to you. I will just flat-call rarely preflop with AK (namely the other 20-30 percent of the time) unless someone has made a big raise in front of me. 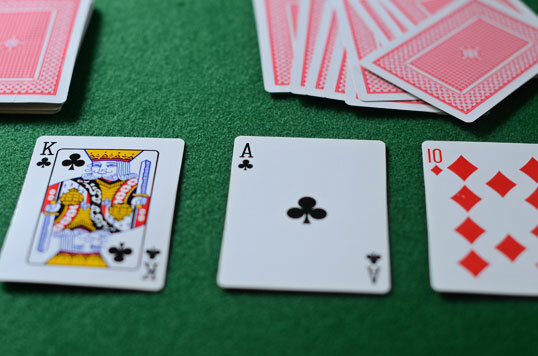 Many players get timid with this hand because they’ve either lost too many big pots with it against a random set or two pair or they don’t know what to do if they don’t flop at least a pair. 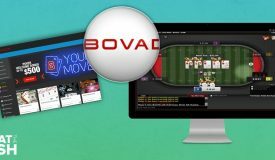 You shouldn’t change your overall poker strategy based on past bad beats or missed opportunities. 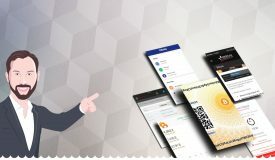 The fact is that Ace-King is a big hand that you should welcome seeing. If you just call you’re missing a lot of value when you do flop a big hand or big draw. Besides, you can often outplay your opponent later in the hand even when you have neither. Finally, you encourage bad beats by not thinning the field preflop. The worst mistake you can make is to let in an inferior hand that gets lucky on the flop for cheap and then relieves you of your chips. Still, I will occasionally just call preflop with AK to throw off my opponents and mix up my game. Unlike many players, unless I have an excellent read I don’t give A-K enough value to risk all my chips pre-flop early in a tournament or in a cash game. 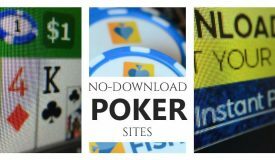 Your decision of whether or not to reraise preflop with AK should be more of a situational assessment. Try to base your decision on your position, your table image, the overall flow of the game, and, of course, what you know about your opponent. However, as a general rule, if the pot has already been raised 3-4BB before the action gets to me I will reraise about 2-3x the original raise about 60-70% of the time regardless of how many people are in the pot. If the pot is already raised and reraised before me I will probably just call as I could be up against Queens, Kings, or Aces. Now, if you made a standard raise and you’re the one getting reraised you have three options: fold, call, or reraise again. Folding shouldn’t really be an option unless a large stack goes all-in or puts you all in. If a very conservative player puts in a huge reraise I don’t have a problem laying this down in a cash game. The best you can expect here is a coin-flip situation against an underpair and at worst you’re a major underdog. 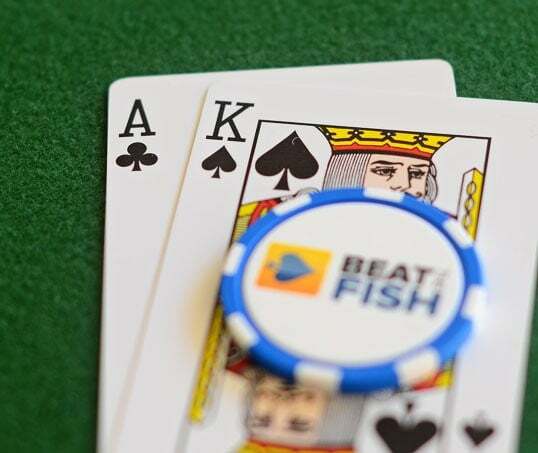 There is no reason to risk your entire stack pre-flop with this hand in a cash game. There is no pressure to accumulate chips in a fixed-blind situation so why not wait for a better spot? If you’re just looking to get lucky you might as well play Blackjack. The exception to this is when you have an excellent read and feel that you have your opponent dominated or, more likely, you or your opponent is shortstacked (about 40BB or less). Sometimes I’ll just go all-in with AK on the first reraise if I’m shortstacked and suspect my opponent is on a steal, is weak, or is just pushing me around too much for my liking. You could play it safe and just call a reraise, waiting to see what the flop brings. I most often just call with AK as I usually have the best of it when an Ace flops and I can trap my opponent who has something like A-Q. In loose online games, I don’t usually like to risk an enormous amount with AK preflop as your opponent is unlikely to be pushed off a hand that could easily improve to a better one. If you raised and were reraised you’re likely out of position in the hand. If you put in another reraise here and your opponent just calls what will you do on the flop if you don’t get help? I recommend just calling much of the time seeing a flop. Of course, that’s just my style. I generally don’t like to risk everything preflop in a deep-stack cash game without Kings or Aces. I’d rather try to outplay my opponents on the flop. Ace-King goes up in value late in tournaments, as you’ll be facing plenty of short-stacked opponents challenging you will lesser hands. Much of the same rules that I’ve outlined above also dictate my tournament AK strategy, although there are some differences in this format. You simply can’t wait around for premium hands in tournaments like you can in cash games so I’ll usually play them even faster preflop. Later on in tournaments when the blinds start to become astronomical this is a no-brainer all-in situation preflop no matter what has developed in the hand. 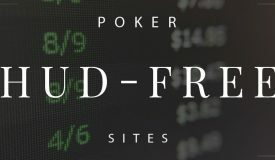 If you’re one of the chip leaders you can afford to play more conservative although you can also afford to gun for the small and medium stacks. The point is that this is a very difficult hand to get away from preflop deep into a tournament. Early on in tournament, you don’t really need to gamble as much with AK and your fast preflop play isn’t rewarded very much if you just manage to collect the pitiful blinds. 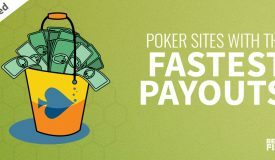 Try making it worthwhile by raising 5-6BB and building a decent pot. If there is a raise, a reraise, and an all-in ahead of you, you should probably be looking to dump your hand. Why risk so much early on with a drawing hand? 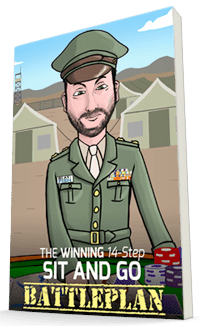 However, one tip that I’ll give you has worked like a charm for me early on in Sit ‘n Gos and small-stakes tournaments. This often works best from one of the blinds but can be done in any position. If there is a standard raise ahead of you or just a couple of callers, try quickly moving all-in. 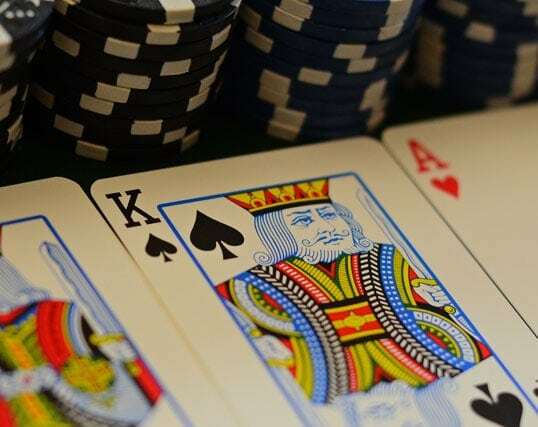 You probably aren’t up against Aces or Kings (unless you’re very unlucky) since it often would have been reraised before the action got to you. You look like you’re impatient and have a plane to catch but you’re really setting a trap. A lot of the time you’ll pick up a small pot right there, which is great. However, I find that the most likely hand to call yours here is a weaker Ace or King. Many players who play small-stakes Sit and Gos or multi-table tournaments are super impatient, hate to be bluffed, think that you’re a maniac, or are just poor players. They probably put you on an outright bluff or small pair. This doesn’t always work. Sometimes you’ll get outdrawn, lose a coin-flip situation, or just run in to a better hand, but I’ve had a great success rate with it. The quick all-in move with A-K in small-stakes tournaments has been an effective one for me to induce calls from worse hands. Hopefully this tutorial has given you some ideas on how to best play Big Slick from any position in any type of game. While it is a tricky hand, it’s still one of the most powerful in Hold’em and one that you should pressure your opponents with preflop. Your goal should be to thin the field to hands that are trying to catch up or just pick up the pot right away. Occasionally, you might try some of the more unorthodox plays I suggest to mix up your game.